This ammunition is manufactured by Prvi Partizan, one of the world’s largest modern ammo manufacturers. Located in Užice, Serbia, Prvi Partizan has supplied ammunition for the Serbian military and police forces since 1928. The facility also produces quality loads for civilian shooters, delivering reliability and performance at a price point perfect for the high-volume or budget-conscious shooter. 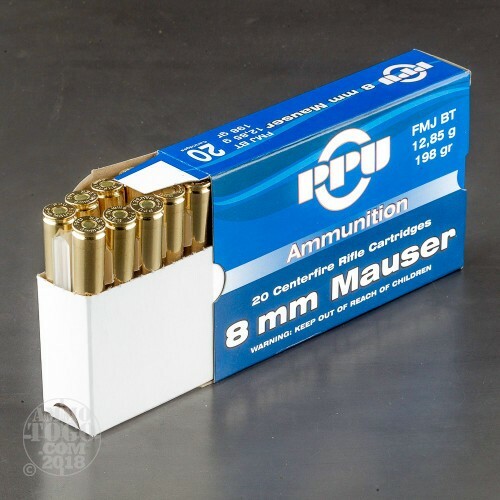 This package contains 20 rounds of Prvi Partizan 8mm Mauser ammunition. Each round is loaded with a 198 grain full metal jacket (FMJ) projectile. 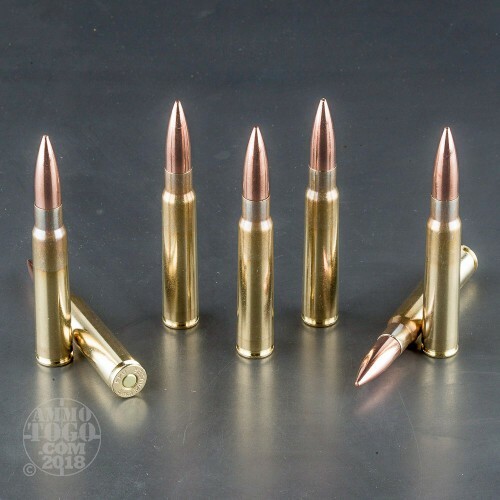 Delivering minimal terminal expansion, these rounds are best suited for target shooting, range training, and tactical drills. This new production ammo is brass cased, boxer primed and 100% non-corrosive. Each round produces a muzzle velocity of 2181 feet per second with 2092 foot pounds of muzzle energy and features fully reloadable brass casings. Always had good results fromm PPU. Priced better than most. 3/16 steel at 109 yrds is butter to these rounds. Brno mauser, 95 yrs young, she's a beauty. No complaints. 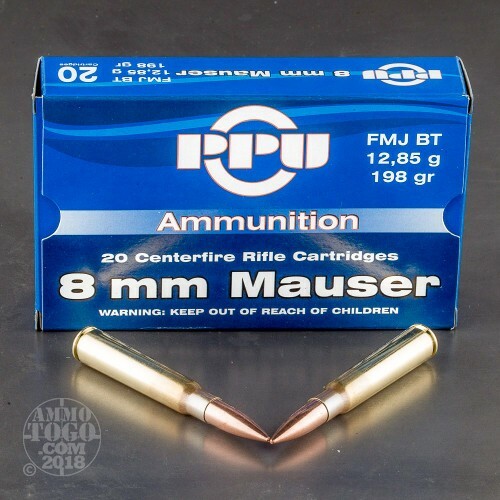 PPU has a hotter load than American rounds and matches the performance specs required for this rifle. Can't wait to send these bad boys down range. Super accurate and high volosity, these chunky rounds rip apart melons like crazy damn commie melons haha I recommend them over any other brand for 8mm. Excellent ammo. will buy more. Great clean burning,accurate ammo. atg is great to deal with ! This is the third time I've ordered Prvi Partizan ammo and prior to it I was ordering Hornaday and I am not bsing yo the Prvi Partizan is much more acuerate than Hornaday seems to drift at 200yards. So with out any doubt the Prvi Partizan Ammo is far superior to other 8mm ammo.. 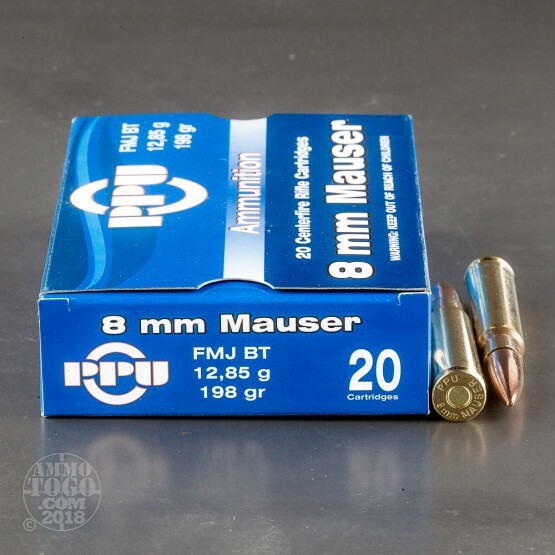 I ordered two boxes of this round due to a friend of mine swearing it was the best he has ever put down range through his Mauser. I have received the shipment and already sent all forty rounds to target. The results were far more than I had anticipated. The round burns clean, holds trajectory at various distances and literally rips apart whatever it hits. A superb 'military' grade, performing round. I will be purchasing more. Outstanding! JOB WELL DONE AMMO TO GO!